Two of twelve “bowls” shaped by annular eclipses. Having just written about the August 21st eclipse, I was shocked beyond belief to learn that after 30 years of study into these things, somehow I did not know about the eclipse to occur in seven years — where I live! 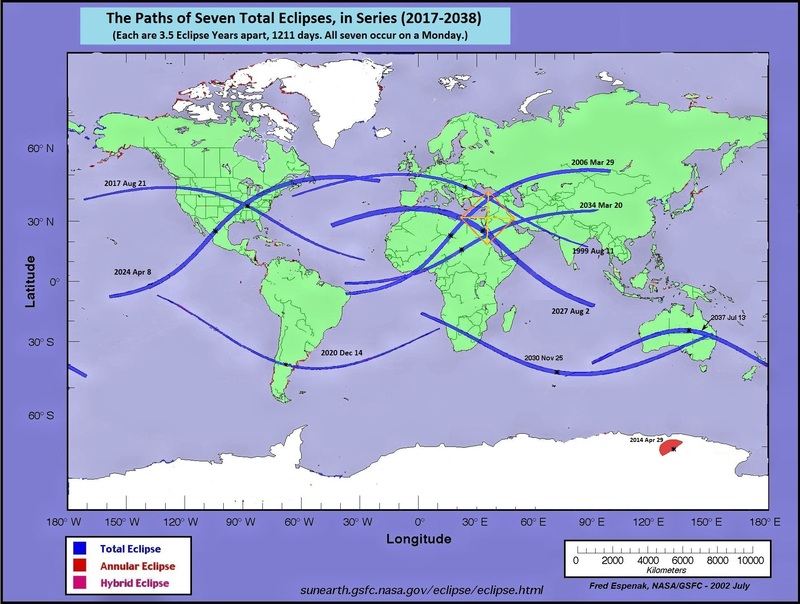 I had just written in detail about the August 21st eclipse, and the upcoming “X” over the Red Sea (formed by the path of two future eclipses), and now I learn that in seven years there will be another X over North America a well! The Lesson: God hides or reveals to whom He wills! 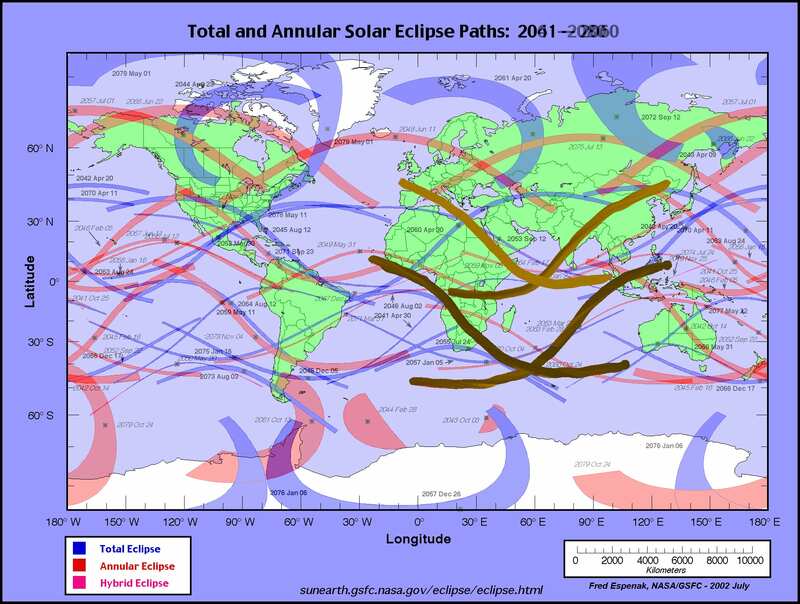 In the evening I explained the below diagram concerning a series of upcoming eclipses to a small gathering of believers at my sons place. The total solar eclipse crosses the United States mid-day, taking about 4 hours. 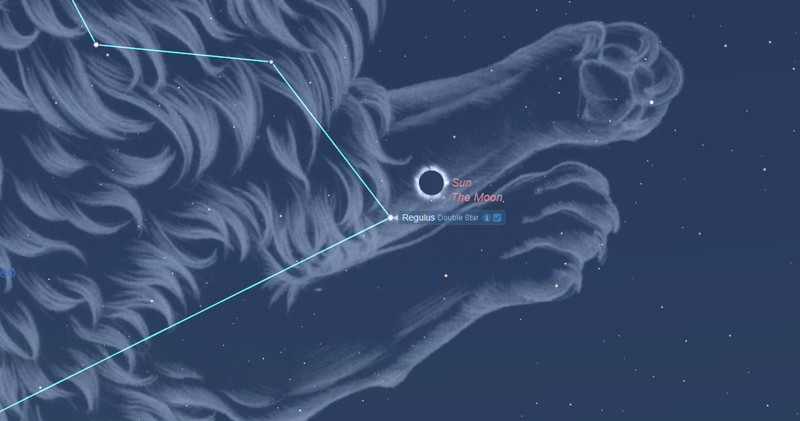 Aug 21, 2017 total solar eclipse, showing the position in the sky — at the front paws of the constellation of Leo, (i.e., the Lion of the Tribe of Judah). Some stars become visible during a total solar eclipse. God restored us, and my wife conceived a promised son. During those trials I had to flee to a farm for about 40 days in Morrisburg, Ontario. After that I was forced to flee back to Toronto. In my diary I recorded that God told me that my trials are a type of the trials that His Body, the Church, will suffer in days to come: A day of gloom and confusion. 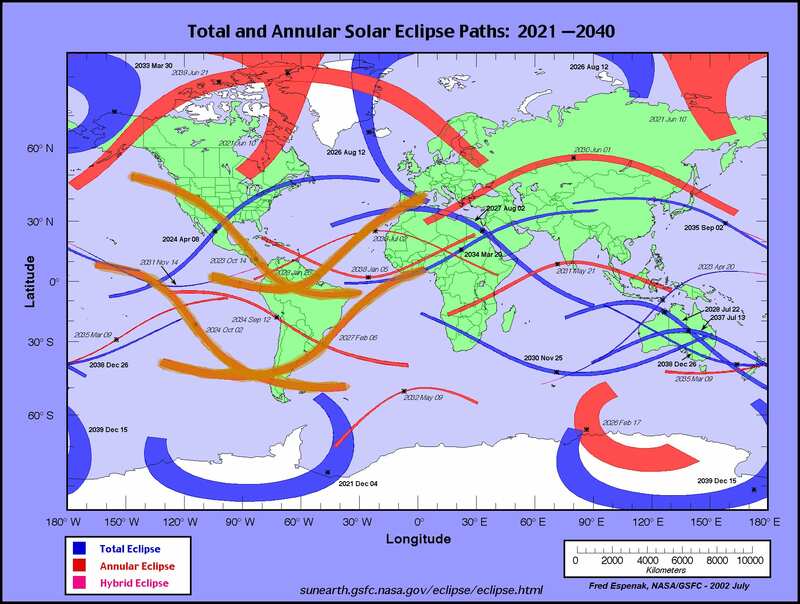 Then the Lord opened my mind to see that the path of the eclipse of 2024 overlaps the journey from Morrisburg. 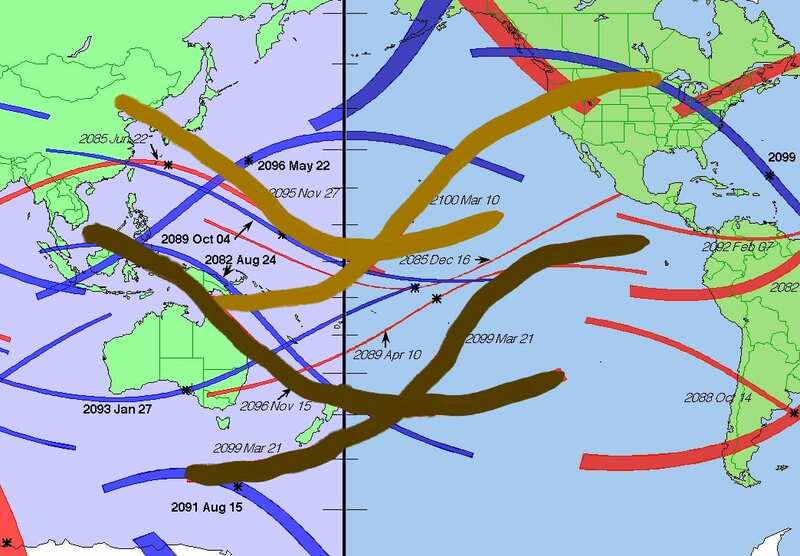 In the evening, I noticed that the eclipses are forming a pattern that repeat themselves over many years. 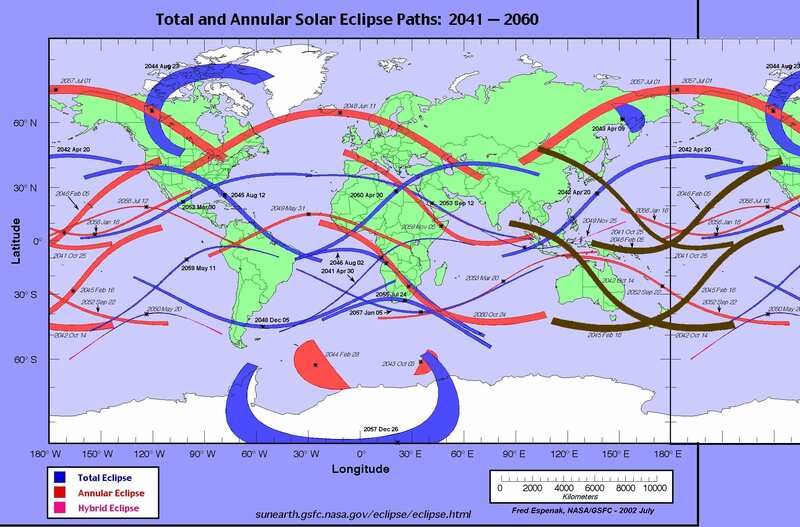 In particular, the below eclipses that span a 35-year period came to my attention. (Keep in mind that these two X’s reappear every 18 years and 11 days — called a “Saros cycle”). This means that the third X in the below diagram is simply the first X (of 2017/2024), but repeated 18 years from now. Nevertheless, notice how it roughly forms a square 12000 stadia (2200 km) around the Land promised to Abraham. It also forms one Aleph (Hebrew letter) and three Tavs (as it was shaped in ancient times). This is the equivalent in Hebrew of the Greek letters “Alpha and Omega”, (Rev 21:6). “The city was laid out like a square, as long as it was wide. He measured the city with the rod and found it to be 12,000 stadia in length, and as wide and high as it is long. ” (Rev 21:16). 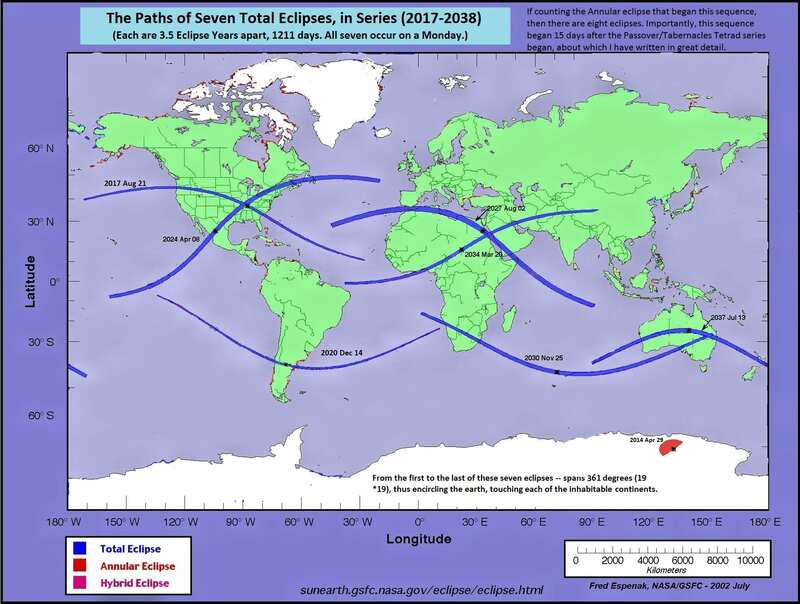 All day I ponder the two bowl-shaped patterns produced by four eclipses in 2023 Oct 14 to 2028 Jan 26, and 2024 Oct 2 to 2027 Feb 6. Each are 3.5 eclipse years apart from one other. I have not taken the time to remove the unused eclipses in the below image, but have simply thickened and changed the color of the four Annular eclipses that form the bowls so that you can easily spot them. These patterns (2 bowls and 2 X’s) repeat themselves every 18 years, (a Saros cycle). The first eclipse that forms the first bowl occurred Rosh Hashana (Oct 3) in 2005, and the last occurs 90 years later. This forms the two sets of bowls straddling one another, repeated six times, (a total of 12 bowls). Before and after this 90 years, the pattern of the twin bowls breaks down. Also notice the emphasis on the number seven in the above text. 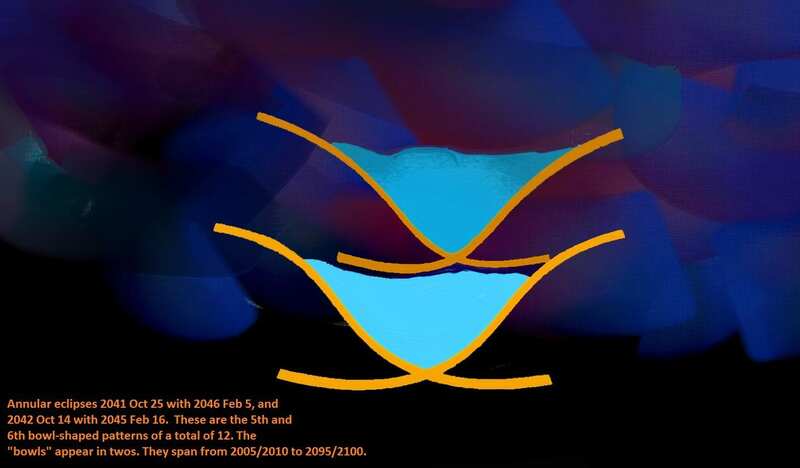 In a similar way, each of the bowls straddles and overlaps the other by 3.5 eclipse years for a total of seven years. Moreover, the Book of Numbers (ch 7) records that the day when the Tabernacle was first set up, that each of the 12 tribes offered a bowl of flour with oil in it, along with other offerings that were carried by 6 wagons led by two bulls each. In other words, the six wagons each carried a pair of bowls the same as the twin-bowls formed by the eclipses! The total weight of the silver given as a gift for the Tabernacle at this time (1406 BC, Nisan 1) amounted to 1260*4 shekels by weight, with 126*2 animals sacrificed. Thus we have numbers divisible by 12 and 7 again. For math geeks! 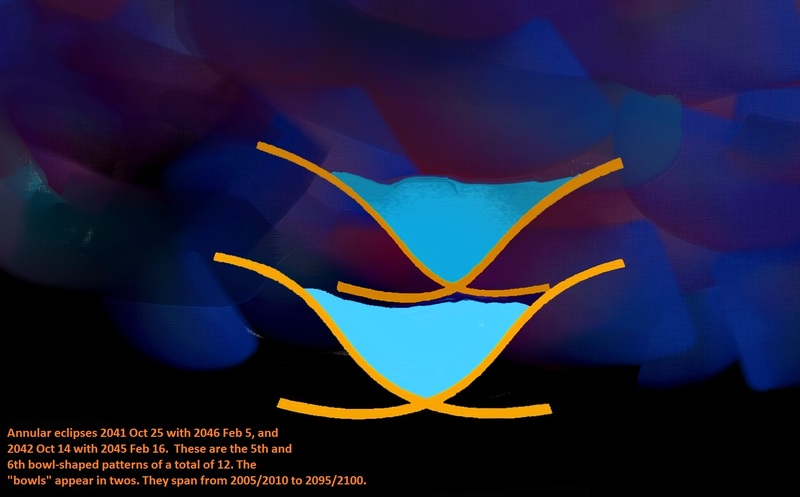 Recall the Saros cycle of 18 years between the eclipse-bowls: And 18*70 = 1260.) The middle of the first two bowls is exactly 1150*3 years (Dan 8) to when the Tabernacle was set up, which is also about 1,260,000 days. ("1260000" is 3500*360.) From entering into the Promised Land to the last "eclipse-bowl" are 3500 normal years, as well. (1406 BC + 3500 yrs = 2095.) Hence, the start and finish of the eclipse-bowls (2005-2095) are bracketed by the span of 3500 from the Exodus and Conquest. (Counted twice, equals 7000 years, the same way the two 3.5-yr periods between the twin-bowls is counted twice in overlap to make 7.) From Zerubabbel's temple to the first eclipse bowls are 1260*2 yrs. And so forth and so on! On this day I also pondered the significance of why the first set of bowls were first formed on Rosh Hosanna 2005 and 2006 (October). I recalled how that was when all the mighty hurricanes occurred and afflicted the United States, including Katrina and Wilma. For those who have followed my writings in the past, I spent seven years predicting when these hurricanes would form (and major tornado outbreaks). And so it was very natural for me to notice the connection of the first bowls to these hurricanes, because bowls in the bible are commonly associated with the outpouring of something, good or bad. I was also aware that there had been a drought of major hurricanes since 2005. (Click to enlarge.) Above are the first two bowls formed by four annular eclipses. These commence the series of six Saros cycles (inclusive) over the next 90 years before the pattern dissipates. Keep in mind that the bowls are most symmetrical in the middle of the 90 years in which they form. Also, these first two bowls begins exactly 5*490 years from the decree given to Nehemiah (445 or 444 BC, and thus from 446t or 445t BC) in fulfillment of Daniel 9. And each bowl is 3.5 eclipse years to the other, (Dan. 9:24-27). I will show you all 12 bowls coming up, but first lets continue our day-to-day diary of events. Right after reminding my wife about the meaning of Storms “Don” and “Hillary” six years ago, (I discuss that at the end of this article), I found out in the news that TS Harvey had just astounded the weather people at NOAA (NASA) this morning when the storm mushroomed into a threatening hurricane! Well that got my attention! Indeed, it was headed towards the “Body of Christ”, (Latin, “Corpus Christi”, Texas). Dark clouds are on the way for the Body of Christ, as the Spirit had been reminding me earlier in the week, just as it was for Him who hung on the cross — and the sun darkened. Storm strengthens. I work on images for this post. (Rough draft of post put out today). 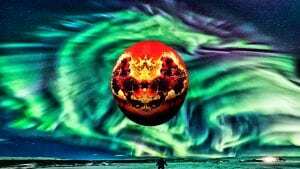 I realized a few days ago that one X precedes the pair of bowls to form one complete image, before reoccurring and at times overlapping another. There happens that from the first X formed by the total solar eclipse until the last annular that completes the second bowl (and then all this is repeated six times) are exactly 1260 + 1260 + 1290 days! And so, from the August 21, 2017 eclipse, plus 1260 + 1290 + 1260 days ends the cycle of the twin bowls in 2027 Feb 6, and so forth. These are your standard bible prophecy time frames that represent a 3.5-year period as found in Rev. 12 and Dan. 12. The “1290” simply has a leap month attached to it. (See my 360 calendar site.) Moreover, between each of the twin bowls are about 14 years (7*2). Now notice the overlap of the path of the first bowl (of this second Saros cycle) coming up in 2023, Oct 14. 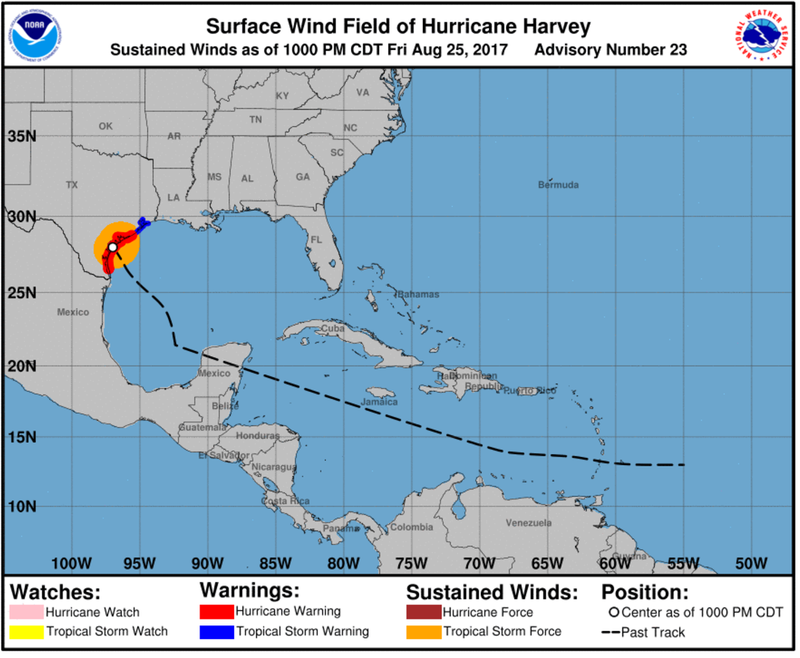 It’s the exact same path that Hurricane Harvey took after it revived (after exactly 3.5 days) after it passed over the Yucatan Peninsula. (The solar eclipse that just occurred over the US occurred exactly in the middle of this “3.5 days” in which Harvey was dead. But on the morning of Aug 23, 2017, Harvey revived, (Rev. 11). Path of Hurricane Harvey, 2017. 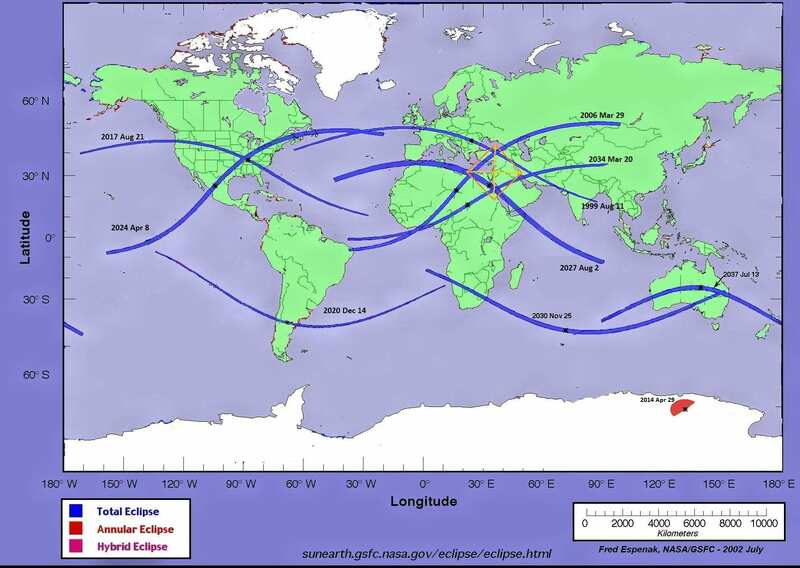 In the below image, notice the path of the first stroke of the eclipse that forms the bowl: It passes over the Yucatan Peninsula, then bows-eye over Corpus Christi, Texas. Notice this other “X” formed by this annular eclipse (of the bowl) and the solar eclipse (in blue) set to occur seven years from now. This particular “X” over North America (formed by the annular and total solar eclipses) are only half-a-year apart. And the center of this X occurs over Texas where Hurricane Harvey is going– along its exact path! Harvey means “Blazing Iron”, which reminds me of a ‘blazing iron rod’. 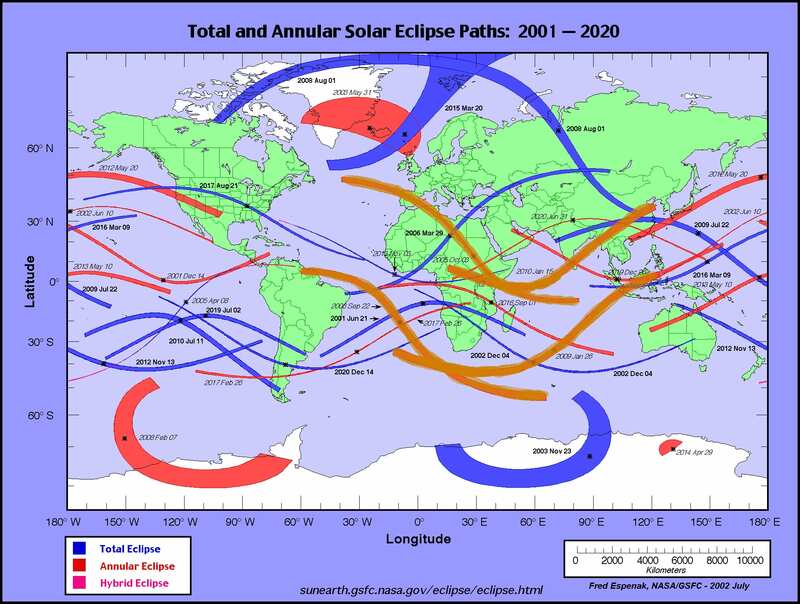 This eclipse of 2024, Nisan 1st, is the eclipse that the Lord told me symbolizes the coming dark days for the Body of Christ, just as I went through 35 years earlier when I literally fled along the same path as this eclipse. And notice where these two crisscross — right over Texas where the storm is forecast to reverse and turn towards the coast again. It is forecast to meander for a few days, dumping nearly four feet of water in some places. As I type this, the hurricane has just become a category four– exceeding expectations. However, the worst of the storm is on the northeast side, and so Corpus Christi will be spared the worst. Consider how Harvey’s dies as the sun dies/darkens during the Aug 21 eclipse. And this eclipse is the first in the said series that lasts exactly 1260 + 1260 + 1290 days long. The very next eclipse is this one that traverses the same path as Harvey! The first annular eclipse that forms the bowl that symbolizes the outpouring of something. Think about that! Compare the upper bowl of the below image with the path of Hurricane Harvey upon leaving the Yucatan Peninsula. The parallel is striking. Harvey ended a “12-year drought of major hurricanes in the US”. Below are the 12 bowls (6*2). The twin bowls are 18 years and 11 days apart. To view any of these in their original form, please see NASA website. Bowls 1 & 2. 2005 Oct 3 to 2010 Jan 15, and 2006 Sept 22 to 2009 Jan 26. Bowls 3 & 4. 2023 Oct 14 to 2028 Jan 26, and 2024 Oct 2 to 2027 Feb 6. Bowls 5 & 6. 2041 Oct 25 to 2046 Feb 5, and 2042 Oct 14 to 2045 Feb 16. (The fifth bowls occurs at exactly 180 degrees longitude. These are the same “twin bowls” as below and are the exact outline given be NASA. If I had the time I would have done as good of a job on the rest, too! Update: Storm total for Harvey reached 65 inches, shattering previous records. Bowls 9 & 10. 2077 Nov 15 to 2082 Feb 27, and 2078 Nov 4 to 2081 Mar 10. Bowls 11 & 12. 2095 Nov 27 to 2100 Mar 10, and 2096 Nov 15 to 2099 Mar 21. This completes the 12 bowls. As you can see, the bowls begin to loose their shape. In 18 years, the top bowl no longer resembles a bowl. Thus, including the first X starting in 1999, the full pattern spans 100 years. I have delayed this message since the election to allow Don to be unhindered by negative prophecy. Irene occurred between Storms Don and Hillary in 2011. 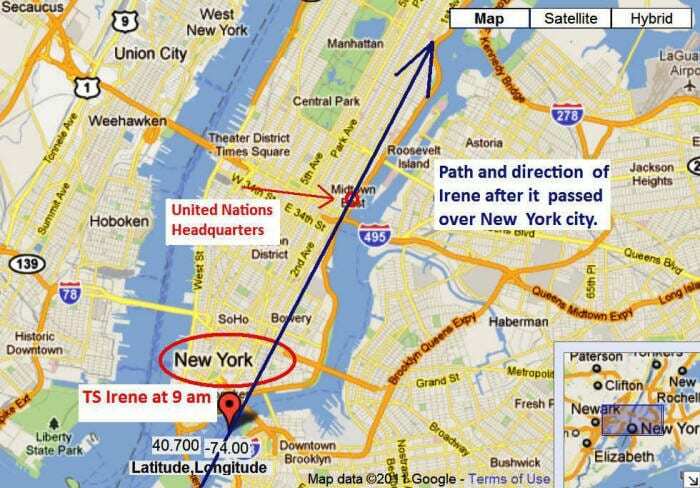 This is the area partly owned by Don and Kushner. New York would be key in the coming election, especially on issues of abortion. 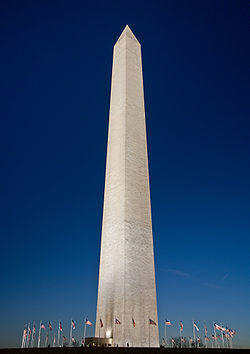 DC Earthquake cracked the peak of this symbolic obelisk during the short time between Don and Hillary, days before Irene struck. In a nutshell: God gave American Christians what they asked for. But the difference between what king Don can deliver to the “Body of Christ” and what King Jesus delivers, is the difference between the rain that Don promised to drought-stricken Texas at that time, and what Iron Harvey is pouring out right now! Church, pray for your leaders, but don’t trust them! Israel, pray for your leaders, but don’t trust them! Especially when it comes to Israeli peace talks. This is what Trump’s son-in-law, Kushner, was wrapping up when Harvey revived. Although not directly related to the bowls, the below image is very interesting. SIGN FROM GOD—–HELLFIRE VOLCANO DRIVES AMERICANS FROM HOMES—-BECAUSE USA IS DRIVING ISRAEL NATION OUT OF THE PROMISED LAND,,,THEIR HOMELAND,,,,,,,,,,,,,JESUS HATES “trade land for peace” , THE FAKE PEACE PLAN……..THE PLAN MAKES ISRAEL MUCH SMALLER….ONLY 8 MILES WIDE,,,,AND EASIER FOR THE MUSLIMS TO MURDER………….JESUS KNOWS THAT WE HATE ISRAEL, CHURCH, AND JESUS……………ANTI-SEMITISM, HITLER,NAZI, ANTICHRIST……………THE SPIRIT OF ANTICHRIST IS EVERYWHERE……….WE REAP WHAT WE SOW! Praise Christ! He is Justice! The “Day of the Lord” is the Second Coming of Christ—-a day of darkness, not light—Christ will bring Judgement on all sinners, at the end of the 7year Great Tribulation……6000 years after Creation………. ….The “Lord’s Day” is the Shadow of the “Day of the Lord”…….Praise Christ! SIGN FROM GOD……biggest evacuation in usa ever………because usa drove the Jews from their HOMELAND, PROMISED LAND………….Hurricane Irma 9-11-2017….SIGN FROM GOD……..we reap what we sow…….an eye for an eye……the punishment fits the crime…….Jesus drove 6.3 million americans from their homes……..Trump+Kushner are pressuring Israel to do the fake Peace Plan (unBiblical, antichrist, murderous)……..bible-codes.org…….when we finish driving the Jews out of their Homeland, Jesus will take our homes+deeds from us………Jesus is warning us to repent and get saved from DEATH…….PRAISE CHRIST! GOD IS LOVE! …………The same thing happened in Katrina……evacuation and home-loss, for the same reason. Hi Dennis. You say it like it is. ……on 9-11-1990, Pres Bush, Sr. gave his infamous NEW WORLD ORDER speech…… 9-11-1994, a plane hit the White House…….9-11-01 World Trade Center Collapse………9-11-08 World Trade Collapse (Lehman Bros and Bush saved the banks with the TARP money)………..9-11-2015 ,double rainbow at the 9-11-01 Ground Zero, and a crane collapse into the Mecca mosque. ……..bible-codes.org………the 9th of Av is a famous day among the Jews and Christians. Hurricane Irma is making landfall on mainland usa on 9-11-2017. So the hurricane foreshadows the eclipse. I wonder if that will continue? I also wonder if 1335 figures somewhere in this. The fact that these eclipse patterns exist over the 90 years you mention kind of put a box around these dates during which God is doing certain things as well as foreshadow what he is doing next. These bowls are roughly paralleling events in biblical history 1290 + 1335 years ago, such as the “70 years” of Zechariah 1:12. 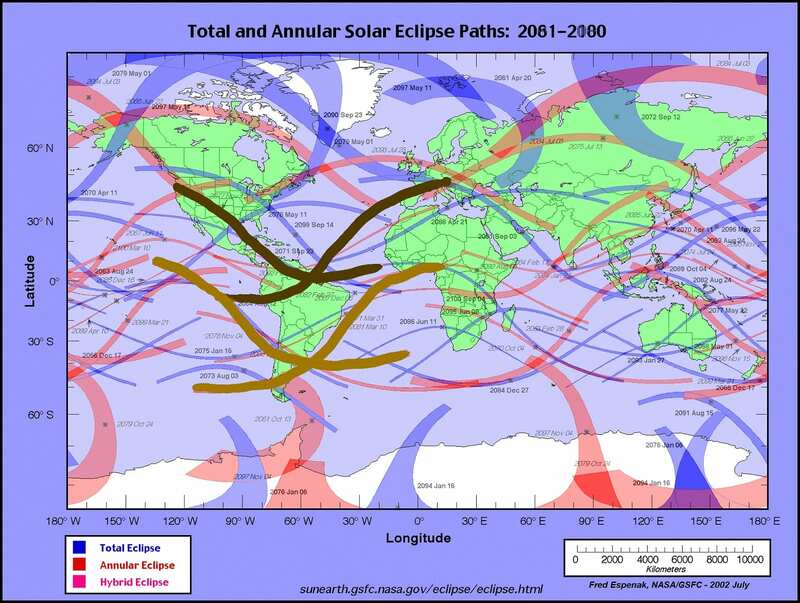 Are you saying revelation was written describing these eclipse patterns? That john was seeing this? That he saw this time we are in now and then wrote it? Hi Rob. I believe that John saw things that were symbolic of greater realities. 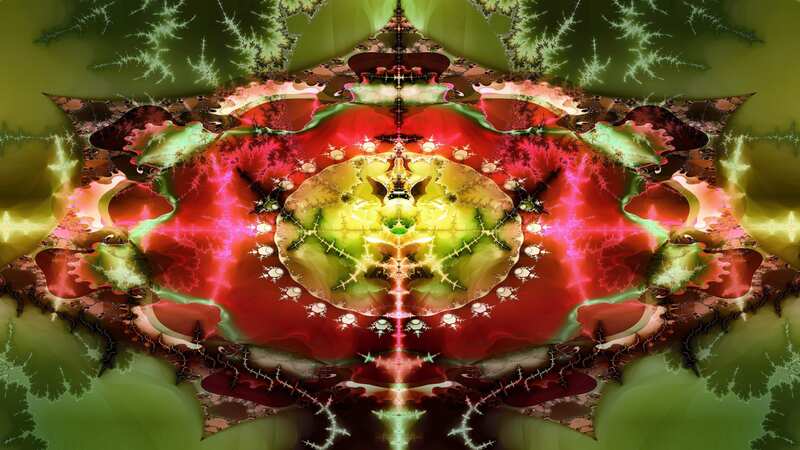 I believe that the book of Revelation is laid out like a fractal so that things are self-similar on different scales and sizes.I believe that the eclipses are only one aspect of signs in the heavens and only supply limited information and patterns that when combined with other celestial signs and with other biblical events and patterns, paint a picture for us of what God is doing. Interpretation belongs to God as much as the initial sign, and so it takes the Spirit of God to point out to man exactly what He means, and when it will occur. 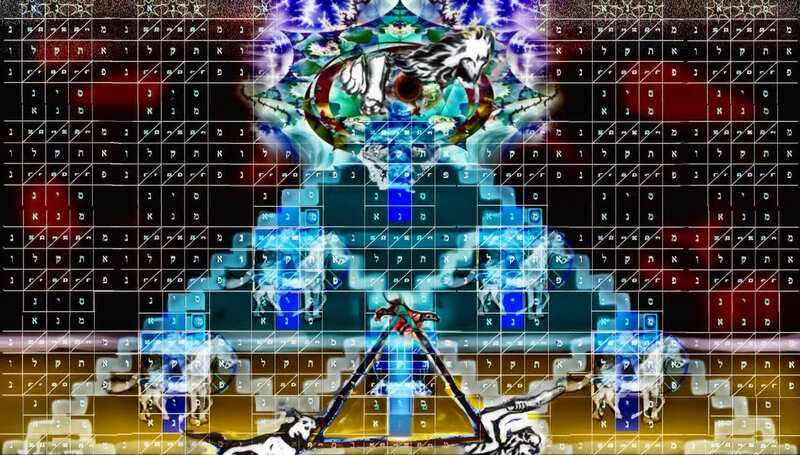 The puzzle is too hard to solve without direct revelation. God is also supplying a general outline for this entire century in the heavens ahead of time to curtain some from dogmatic predictions for when He will return. The prophetic road stretches into the future as far as the eye can see, but at what juncture Jesus comes we cannot know. It’s meant to be this way. God would have us to live in the prophetic present! What is He saying NOW by these signs.